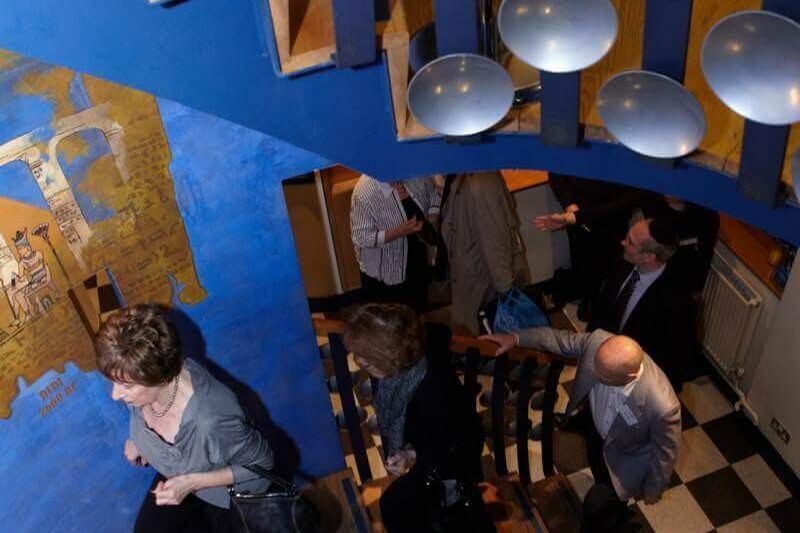 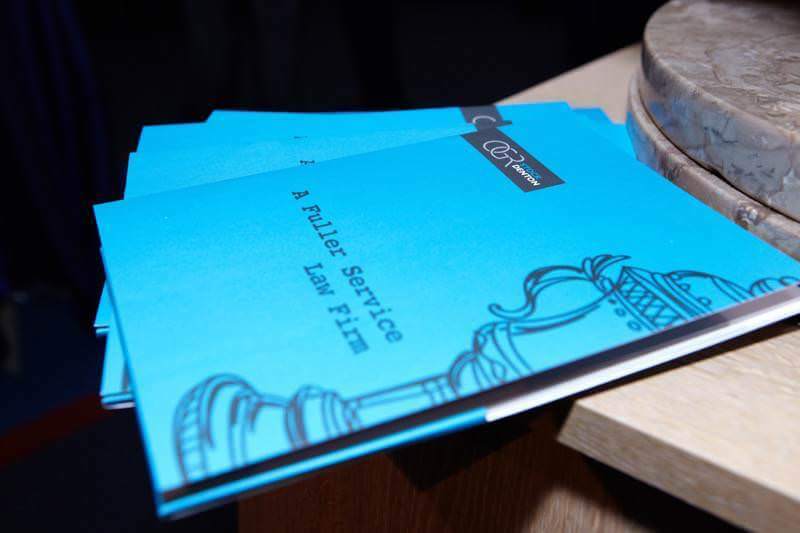 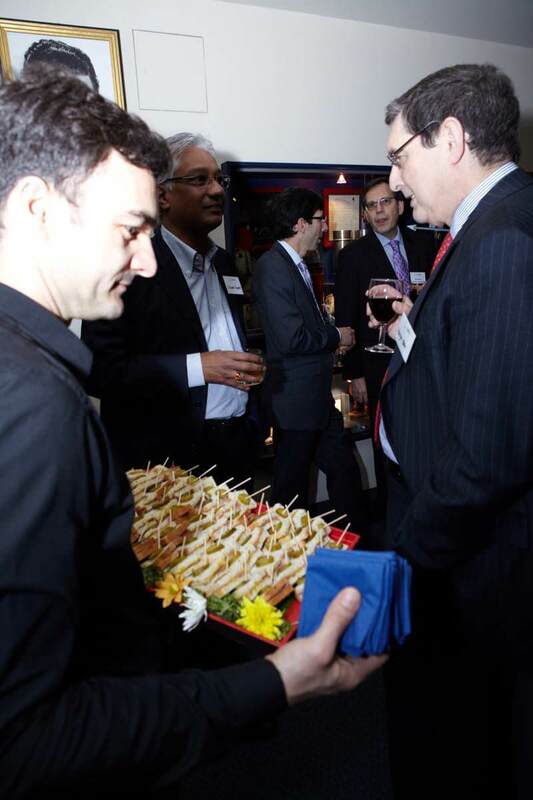 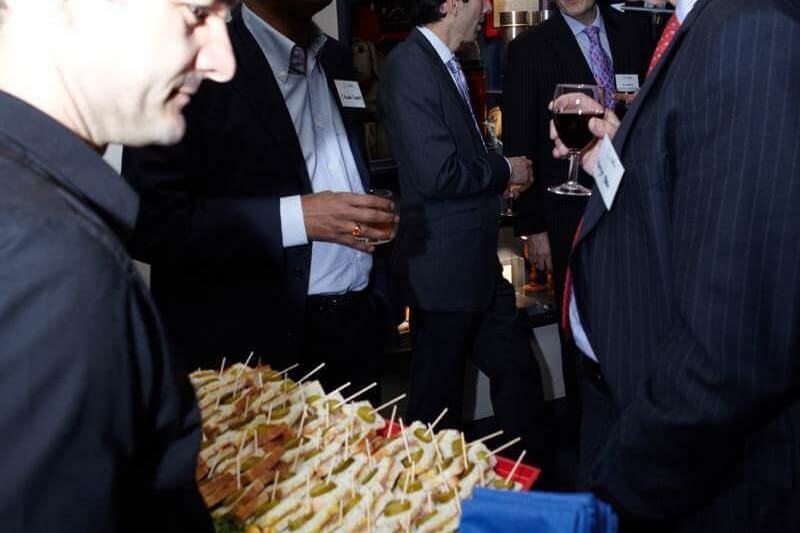 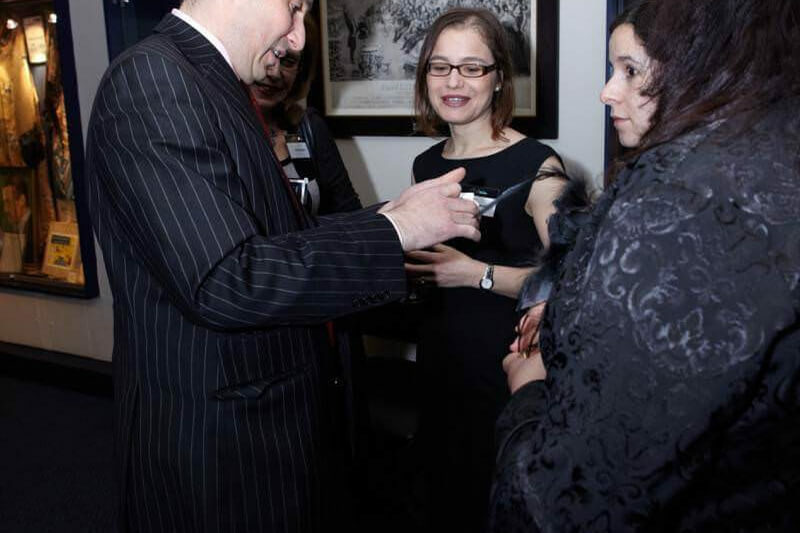 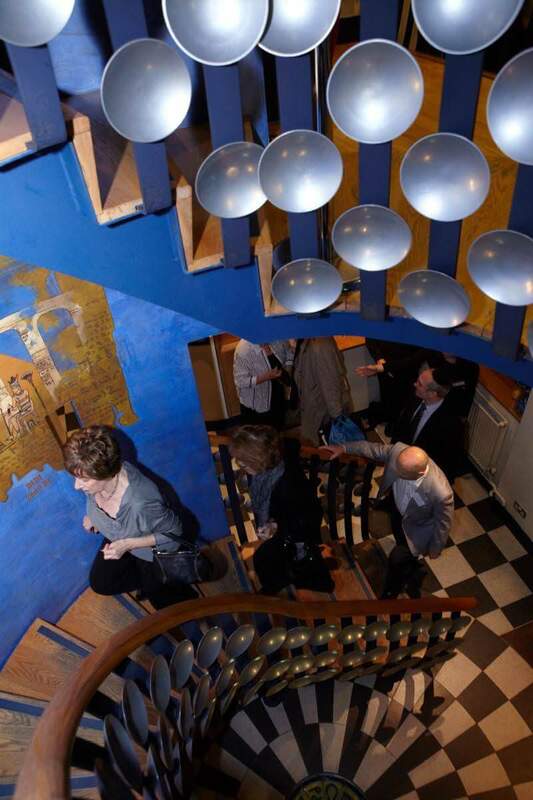 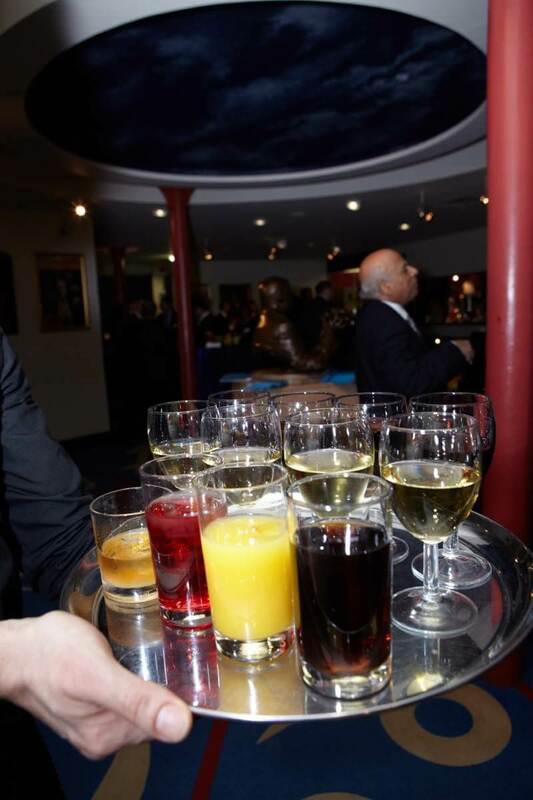 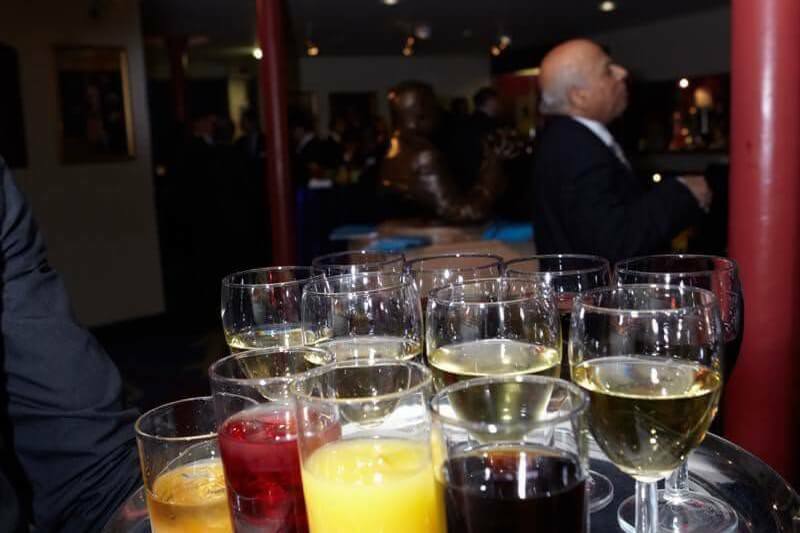 As part of a communication review for a recently merged law firm, The Business Narrative created a party at the Magic Circle, in central London, with the messaging “we’d like to put a little magic into our relationship”, complete with drinks, canapés, a magician and a tour of the Magic Circle museum. 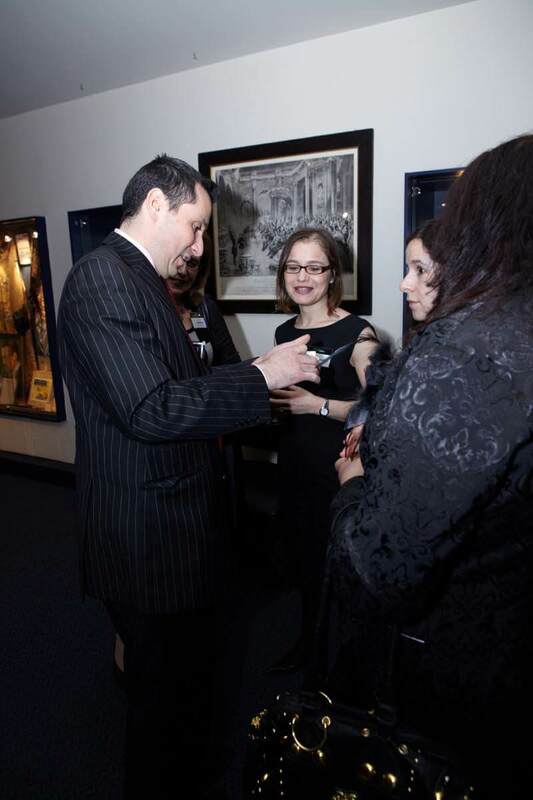 In selecting a venue that was both central and yet easy to reach from North London, and giving guests a great evening of entertainment, we subtly imparted a “magic circle” message. 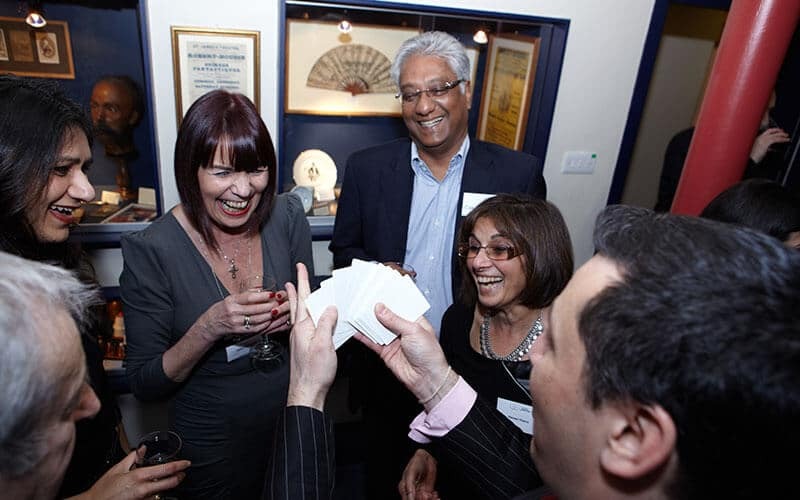 We created an evening of wonderful food, drink and conversation for guests, in a convivial atmosphere, hosted specially organised tours of the Magic Circle museum by the Magic Circle’s most experienced historian, and selected an award-winning roving magician, one of only 300 members of the Inner Circle. 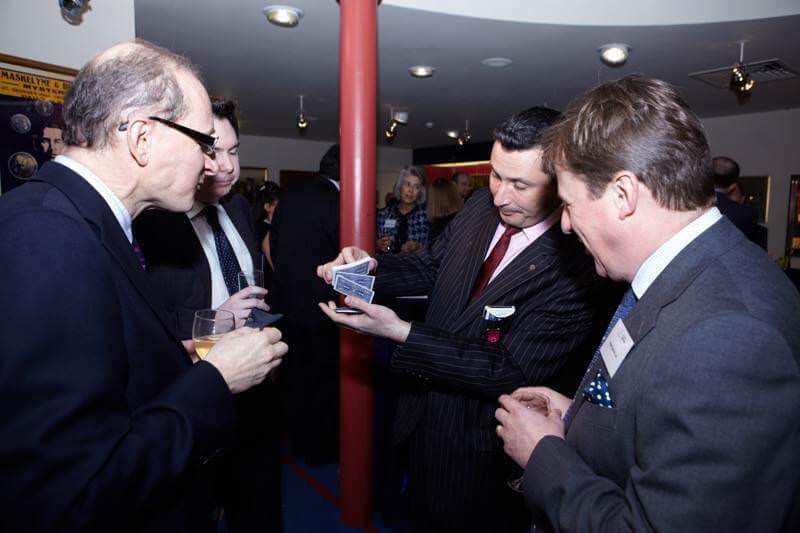 We briefed the magician to create a magic experience where the pre-merger firms were written on the card at the beginning of the trick, and the post-merger name at the end – to the delight of all. 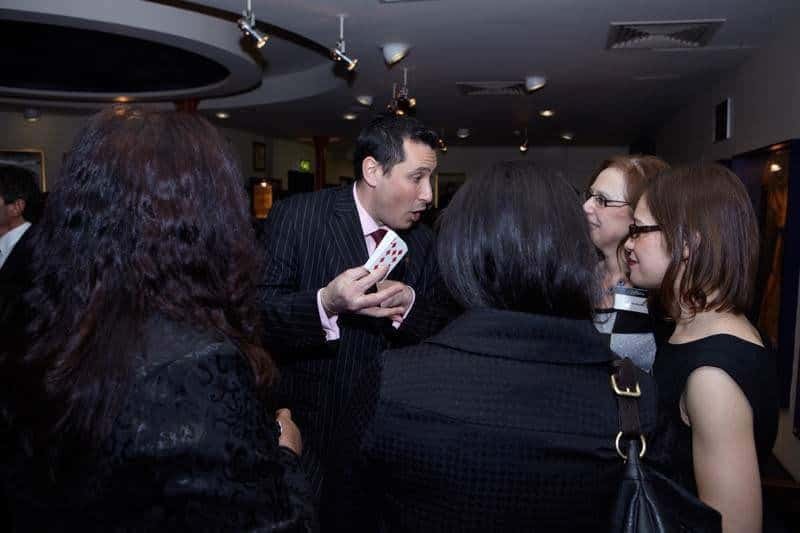 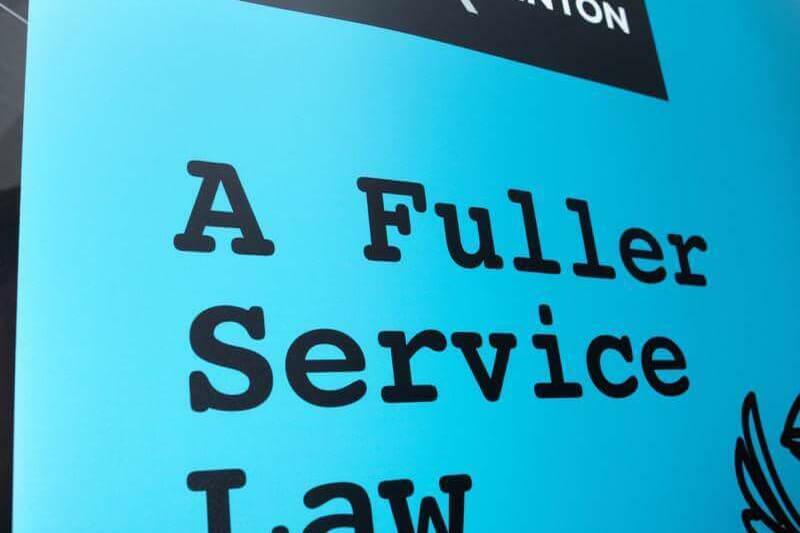 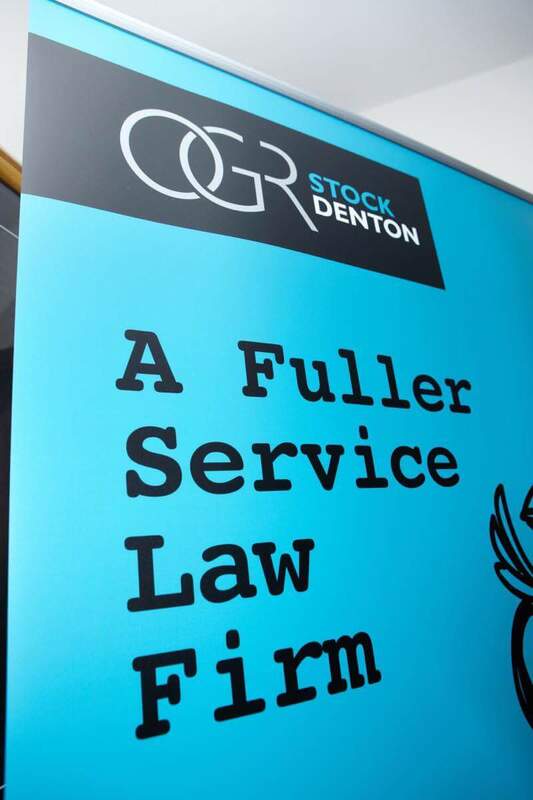 We organised everything – the list, invitation creative, digital and print, travel directions, badges, partner briefing on attendees – the partners considered the event a great success, and did indeed put a little magic into more than one relationship (we like to measure event ROI carefully).